Our product range includes a wide range of water softener purifiers, activated carbon system, water purifier for industrial use, lab water purification system, micron cartridge filter and frp horizontal sand filters. 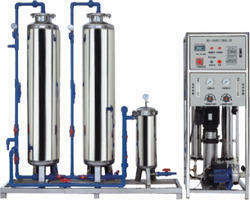 The Water Softener Purifier is a sophisticated product being supplied to our esteemed clients in the market. It has the capability of removing Calcium and Magnesium from hard water preventing clogging in pipes of industrial metal linings. Up to 5 mg per liter of iron can be removed. 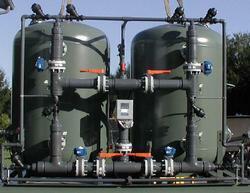 This Cation-exchange water softener is available in several sizes. We have a sophisticated storage facility for the longterm preservation of the product. Besides, a flexible payment mechanism is the most popular among our clients. Activated CarbonSystem process to riddle with small, low volume pores add to the surface area to be had for absorption. We are looking buyers from South India Only. 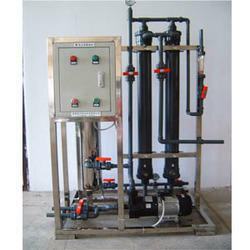 We are a prime company in the field of manufacturing and supplying high quality Water Purifier for Industrial Use. Based on the modern technique of fabrication, these wide range products can be availed in diverse specifications by our customers. These are apt for all kinds of industrial and domestic applications. Our products are made with reliable material and verified sources. These products are widely demanded in the market and are acclaimed by our customers all around. In addition to this, these are available at reasonable price in the market. • Body material: Abs engineering plastic We are looking buyers from South India Only. 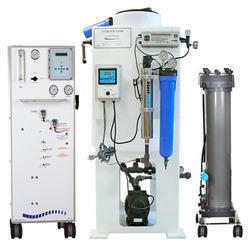 Laboratory Water Purification Systems are vital purification systems available with us. 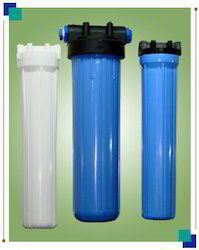 We offer Micron Cartridge Filter. These micron filters are essential filters, to get clarity to water. Very fine suspended impurities and colloidal matter which escape through sand filter, are easily separated in these filters. These cartridge filters are most useful, in various industries, for achieving high standards of quality of the finished products. These products are available at market leading prices. 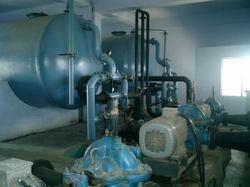 FRP Horizontal Sand Filters to be used for high flow rate filtration requirements. These filters are manufactured using frp vessels, internal collection and distribution system, valves, piping and graded sand of specific size for better filtrate quality. Filter water outlet will have turbidity less than 2 ntu with inlet suspended solids load of 25ppm. For higher turbidity, coagulation may be required which can be offered using dosing systems. 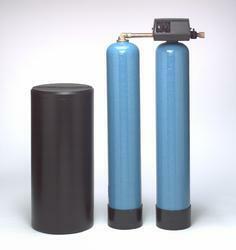 We have been widely appreciated in the market for offering genuine quality Activated Carbon Filter in the market. These filters are used for removing chlorine, odor, color and other impurities from the water. 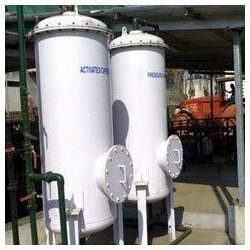 These are widely utilized in all types of filtration purposes that have better clarity and freshness of water which comes out of the carbon filter. These Carbon Filters are made available to the customers in varied specifications to meet their exact requirements efficiently. It is also made sure by us to deliver the ordered consignments at the clients' end within the committed time frame. In order to meet the ever growing demands of the customers, we are into offering SS Micron Filter. 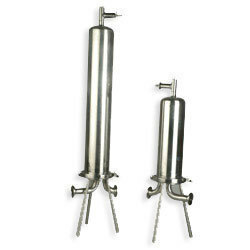 The filters offered by us are mainly made from stainless steel. These filters are manufactured under experts supervision. Our filters have been admired by our customers for their quality. The offered filters are delivered within the given period. Besides, these SS Micron Filters are cost effective as well. 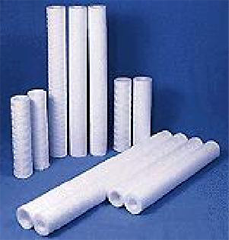 We are leading manufacturer of Micron Filters. Designed to meet the requirements of all types of liquid filtration applications, we manufacture filter bags for bag filter housings and for industry standard filter housings. We carry a wide range of media, and rings or flanges and can manufacture bags in all types and sizes. Our main goal is to offer our customers the best and most complete water treatment solution for most domestic, commercial and industrial applications, allowing us to provide systems of the highest standard at competitive rates. Electrophoretic Ultrafilters are single stage membrane based units to be use for pigment/ Dye/ Clear base Polyeurathene/ Acrylic Resin solutions most commonly found in coating applications. The units manufactured matches all the very basic commercial needs of the advance electroplaters with minimal spacing & very low maintainance for the longer service life to reap the maximum efficiency to well check the unnecessary spending on the plant overall running. The very basic function of the Ultrafilter in the Electrophoretic laquer bath is to remove the unwanted impurities generated in the bath during coating process. The basic assembly comprises a pump, membrane & an ion exchange cartridge to use the fresh permeate back into the phoretic bath. Looking for Water Purification Filters ?